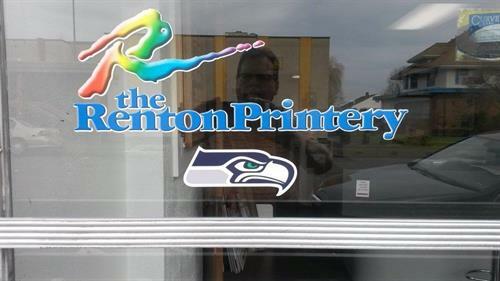 The Renton Printery is an all-American family owned business proudly serving the Puget Sound region since 1959. 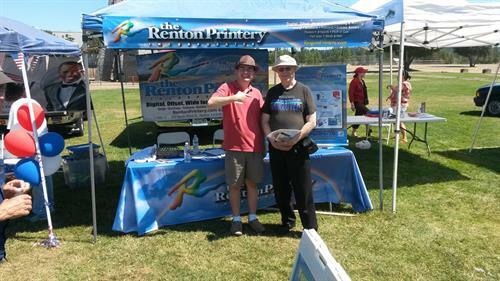 The Renton Printery & Rainier Printery merged and a deck of cards was split to whose original name would come first! Owned by Myrol A. (Pat) Sweeney since 1971 to 2015, his mother was the receptionist and office manager, his wife, Jeanne became the secretary treasurer after a career in the newspaper industry. His son Rich is now the present owner, and looks forward to meeting you. The Industry 50 Years Ago! The business began in a 600 sq. ft. space and now occupies over 4500 sq. ft. Imagine the equipment then compared to today's machines. Pat built the business working with his hands picking hand-set type from tiny compartments in scads of drawers. He set hand-set the type, ran the letter presses, did bindery and all the other business operations. Then Off-set Lithography was introduced which complicated the process. 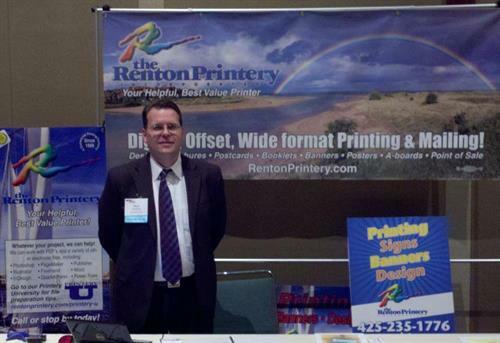 The complexity of the printing business has not slowed down in the decades of growth for this family run business. 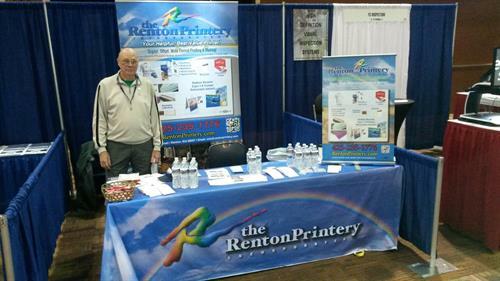 The Renton Printery's core family values built their reputation of quality printing, fair pricing and a one stop shop for all your printing needs. 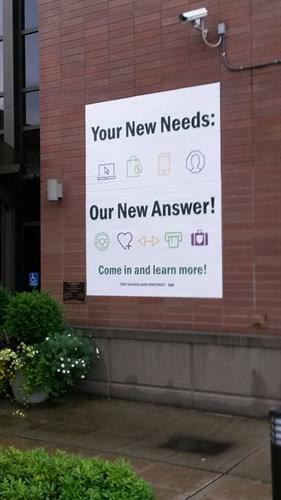 They are BEST known for HELPING; helping their clients, helping a small business start-up, helping local non-profits, andf helping with community events. 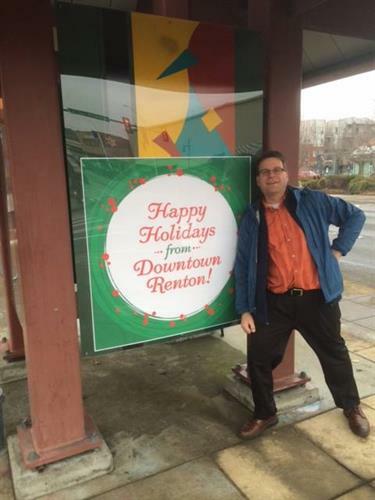 They are Chamber of Commerce members and Rich currently serves on the Board and chairs the Downtown Committee. His middle name is Helpful! Family owned by the Sweeney's since 1971! 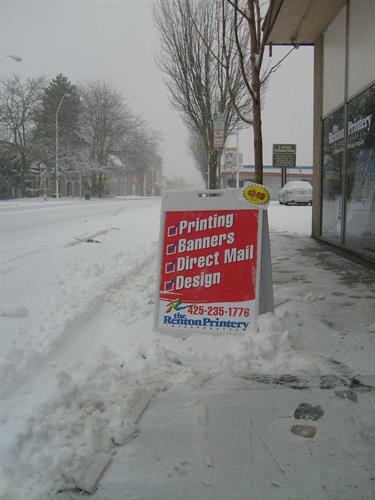 Centrally located in the heart of downtown Renton! Personal, one-on-one service from order to invoice!